Hahaha, heifers, I always wanted to say that. I think I’ve watched Anchorman one too many times this month. As you all now know, I’m co-hosting a podcast called RUNFORYOURLIFEPODCAST with my amazing coHost Shannon Pierogi. I know that’s not really her last name, but who doesn’t love a good pierogi? Ok now I’m hungry. 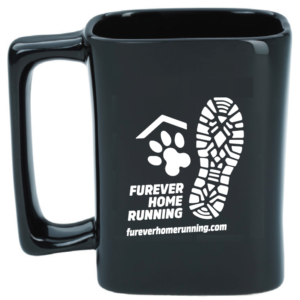 I’d like to introduce you to our first sponsor, Furever Home Running. This is a company with whom I’ve worked before - I was very impressed - they handled the Ordinary Marathon that Scott Riecke and I put on together last year - Scott (from FHR) was our director - and he did a FANTASTIC AMAZING INCREDIBLE job with every single detail. How do I know this? 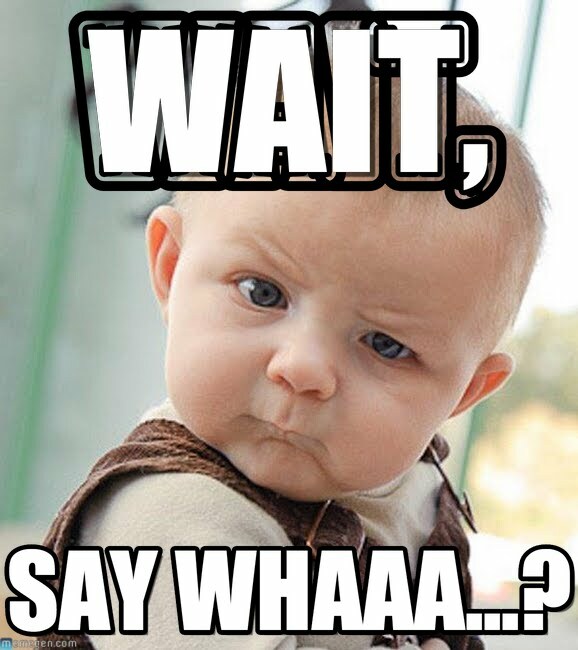 Rumor is…sometimes I can be difficult to work with (Gasp, shock, I know, right?) He is legendary in his approach to virtual racing. Without further adieu…. Furever Home Running is a wife/husband-owned business based just outside Austin, TX. It was borne out of the desire to help shelter animals and people. In everything we do, we believe we are making a difference in the lives of pets and people. We believe every animal deserves a safe, loving home, is provided healthcare, and has adequate food. Scott Frasard and his wife, Tanya Harris (also called Mead, which is how this heifer refers to her in our podcast, LOL just so you’re not confused) , started the company in December 2017 to incorporate their two passions - running and animal rescue. Scott overcame knee issues and arthritis through running and has completed many races, to include half and full marathons and a full Ironman triathlon. Tanya has completed half marathons and open water swim events in her efforts to become more physically fit. Our races span different events, to include running, biking, swimming, and triathlons, and different themes. We started with the Capital City Series, which spotlights each state’s capital city. The designs for this series feature a few iconic emblems of the city as well as some interesting facts about the city (so you learn as you earn bling!). Learn as you earn! We’re poets! We also have special themed races to promote specific causes and host virtual races for others who want to put on a race of their own. All our races are low-cost and high-value; your registration gets you a bib and finisher medal and there tons of other merchandise that can be added to customize your race packet to suit your desires! From each Furever Home Running race, we donate $5.00 to two nonprofit animal rescue groups. These groups are supported for a full calendar year and they each receive the donations quarterly. Other companies do similar charity donations, but we believe Furever Home Running does it better! We not only say we donate money, we prove it in two ways. First, we sign a charitable pledge agreement with each organization, which is then posted on the Furever Home Running website, and each quarter we post how much money we donated along with how that money was spent by the rescue organizations. No other virtual running company goes to this extreme to provide participants the assurance their money is going to the claimed cause! Additionally, we help promote these organizations, which contributes to more direct donations, adoptions, and other support. In 2018, Furever Home Running started the Independent Brand Ambassador program. This program attracts like-minded people who want to play a role in growing the company, which in turn increases donations to the animal rescue cause. We are currently accepting interested people to become an Ambassador! Please send an email to info@fureverhomerunning.com to express interest and connect with Scott directly! Why is FHR sponsoring Run for your Life podcast? Furever Home Running chose to sponsor the Run for your Life podcast for a few reasons. First, there is a thread that both have in common - the desire to give and help others. Our efforts to help people and animals bring happiness to each of us and bcombining forces, I believe we can bring more support, kindness, and satisfaction than either of us can individually. Second, we have similar audiences. We both appeal to those who currently run, want to run, or just merely want to take better care of themselves. These are also people who naturally care for others, to include animals. Third, but certainly not least, we empathize with the struggles Melissa and Shannon experienced and want to help bring a little happiness to their lives through acts of kindness. We believe the work they do will make a difference in others - something the world needs more of these days! Heifers! It’s been a few hot minutes since my last post - but lots has been brewing here behind the scenes in good old HeiferLand. We’re slowly coming back into the land of the living…. YAY! Finally! I’ve launched a new PODCAST (click HERE for our latest podcast, with the one and only Bart Yasso, the most famous gracious humble man in the running industry!)…. and subscribe to our channel. Our podcast is called #RunForYourLifePodcast and can be found on iTunes. My cohost is the one and only Shannon LeLievre Pierangelii. To follow our FACEBOOK PAGE, click HERE as well. We are all about running away from what’s been holding you BACK, and running towards a new life, one you can be proud of, embrace, and be your best self. All of the people we interview have some inspiration to share, some great knowledge, many times sports related tips and tricks to help you perform your best. We are VERY proud to currently be sponsored by FureverHomeRunning and Greecie GIrl Headbands . We have a few sponsorship slots left - if you are interested please contact me - melissa@runheiferrun.com and I’ll get back to you asap! We interviewed the one and only Jeff Fleming HERE. He thinks nothing of going out and running one hundred miles. ONE HUNDRED MILES. Yeah, he’s nuts. To find him on twitter, click HERE. He’s one of the most encouraging people out there - always a kind word and a heart of gold. We also interviewed one of our sponsors, Furever Home Running, spending some time talking with co-founder Scott Frasard. He, along with his incredible wife Mead, are doing amazing things combining fitness and their love of helping to rescue animals at risk. Have a listen HERE. We also interviewed a nutritionist, Nikki Golly, who filled us in on our favorite F word ever (FIBER!). Have a listen to that one HERE and follow Nikki’s page on Facebook HERE. There’s a few others, and we have many more in the works, already recorded and set to post weekly, so make sure you download, subscribe, and share our podcast with your friends. The more, the merrier. Stay healthy, heifer, and keep running for your life!